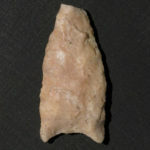 Chipped with great skill and care from carefully-selected materials, these points were attached to the ends of darts or arrows, and used for hunting game. 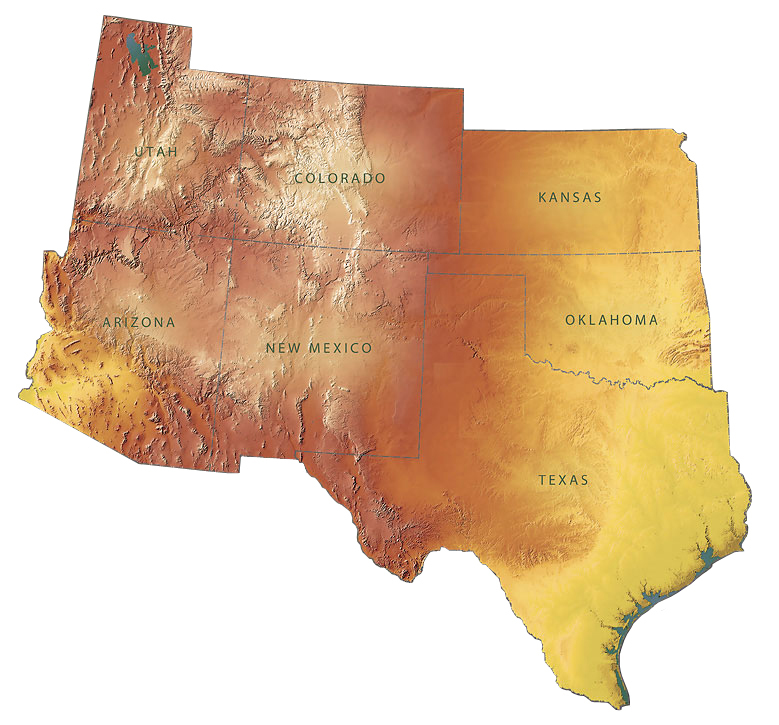 The Hidden Ridge site, discovered at Tonto National Monument in 2006, contained points spanning about 8000 years of history, many of which pre-date the building of the cliff dwellings. Click on any of the pictures below to bring up Reflectance Transformation Imaging (RTI) data for each of these points. RTI allows you to “virtually” change the lighting position, revealing details of the points’ fabrication and structure. Left-click-and-drag to pan, Ctrl(PC)/Cmd(Mac) + left-click-and-drag on picture to change lighting angle. 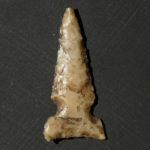 In addition to small projectile points 2-5 cm in length, larger tools like the 15 cm one above were fabricated using similar chipping techniques. 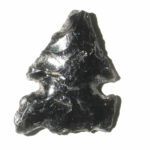 Made from a fine-grained volcanic material, this tool is notched in the center, suggesting it may been attached to wooden shaft for use in light chopping and cutting. This stone disk with a hole in the center, possibly argillite, could have been used as a spindle whorl, or perhaps a personal ornament worn on a string. This is a shaft straightener, made from a soft stone called steatite or soapstone. 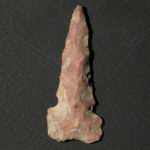 Small branches would be heated over a fire to soften them, then pushed through the large grooves to straighten out the bends and curves, creating a shaft that could be used in making darts and arrows. The straightener itself could also be heated in a fire. The smaller grooves could have been used to help strip bark off the branches. For the 3D models below, click on the “play” icon to load the 3D data. Click and drag in the window to rotate the model; click on the double arrow in the lower right corner to switch to full screen. A 3D model of the same shaft straightener as above. 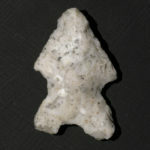 A stone axe. These are made of hard stone, ground into shape over dozens of hours. 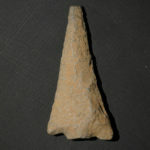 This authentic stone axe has a modern hafted shaft attached. A woodern branch would be heated, then bent into shape around the groove of the axe; cordage would then be wrapped around the base to hold it in place. A very expedient and convenient tool would be a hand-sized rock that could be used to crush, bash, and hammer other objects. 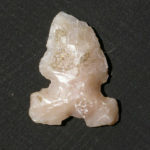 This “hammerstone” shows signs of “crushing” at several places, indicating that it was used for this purpose. For grinding corn, seeds, seed pods, and other items, stone grinding implements were indispensable. The large stone is a “metate”, the base for grinding; the smaller stone is a “mano”, pushed back and forth across the metate to grind objects placed there. 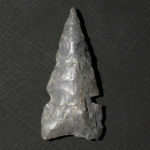 Many examples of these have been found at Tonto National Monument and surrounding areas. Unlike metates, where the grinding was done back and forth with a mano, this “mortar” was likely used with a rounded stone pestle to crush and grind foodstuffs. This mortar was used so heavily that a hole was ground all the way through it, likely the cause of the breakage on one side.